Kildare football is never boring. Starting to have a bit of positivity about Armagh again and i am definitely looking forward to division 2 football. It's good to see a few of the players return to the panel and with the two O'Neills also developing well it could be an interesting campaign. In saying all that, it's a very tough league and i think everyone in Armagh would be happy to have remained in it at the end of the fixtures. Kildare rightly 2nd favorites for me, even excluding last years mayo game kildare werent far away at all, in division 1 they lost all their games but they were very competitive and werent far away at all which is saying alot given the jump in standard of division 2 to 1. Not sure about rightly 2nd favourties as anything is possible with Kildare. When they were relegated from Division 1 2014 they were competitive in most of their games and were odds on to gain promotion back to Division 1 in 2015 only to get themselves relegated to Division 3. Kildare can be as flaky as the rest. Lost to Carlow this summer also lets not forget. 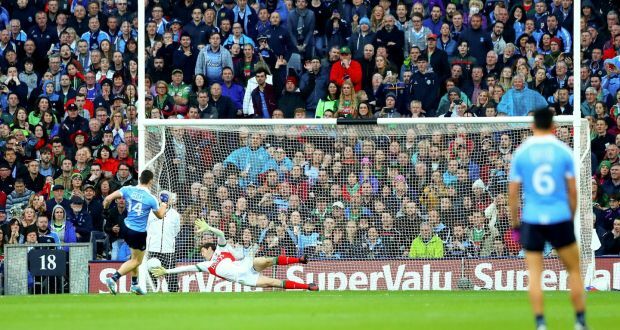 They built up a siege mentality to beat Mayo and that was their summer and year highlight. Beating Fermanagh in round 4 was expected after the momentum they had from that Mayo win. If they are to get back to Qfs in 2019 I'm sure their aim will be to win at least one game instead of losing all 3 group games again. Two games later Kildare were inches away from getting knocked out of the championship by Longford. There seems to be some serious young talent about Armagh at the minute and they all seem go have (re)committed to the cause, so that has to be a major plus. Finding the right balance between youth & experience is obviously key, I reckon McGeeney will let them at it tbh. Few new faces in the squad I see, a few old faces returning and the usual Seamie stories so who knows . We will be happy to stay up . Wanted. Forwards to take frees. We seem to have the makings of a fantastic side if they bond together. Year 5 of his 5 year plan....maybe this is the year it will all come to fruition? If Kildare are missing Daniel Flynn for the opener against Armagh, I think I'll take the 9/1 on Armagh. Certainly if they do beat Kildare, those odds will seem very generous. I would be expecting Kildare's performances to return to pre qualifiers level - with or without Flynn and Kelly - straight away in 2019. I think they will struggle and wouldn't expect a challenge for promotion.